SMALL-SCALE farmers must resist the temptation of selling their maize in the next maize marketing season to briefcase businessmen because Government will ensure that it buys their crop at a better price, President Edgar Lungu has said. He said it was important for farmers to be incentivised with attractive prices for their crop so that they could expand their crop production. President Lungu advised the small-scale farmers to ignore unscrupulous briefcase businessmen whose agenda was to exploit the farmers because Government was going to buy their crop in the shortest possible time. 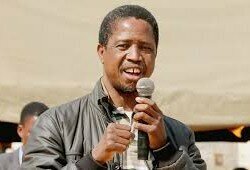 President Lungu said that he was not taking the massive support Zambians were giving him for granted and that he would remain a servant President rather than a bossy leader. He said this in Chinsali at a mammoth rally attended by hundreds of people. President Lungu vowed that he would ensure that all the promises made and projects that were initiated by late President Michael Sata would be fulfilled and delivered respectively. “The majority of votes we obtained came from here and we need to ensure we do what you want. The infrastructure development projects will continue and we commit to do all the township roads, and that is our promise,” President Lungu said. The Head of State said it was the commitment of the Patriotic Front (PF) Government under his leadership to construct hospitals, schools, roads and other physical infrastructures across the country. 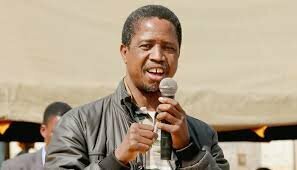 President Lungu said some irrational politicians were criticising the infrastructure development and were telling Zambians that they would not eat roads, stating that such politicians should keep quiet if they had nothing to criticise Government.